This week on Survivor… Josh is gone and Reed is now playing the game without him. After Tribal everyone else is hugging and such; Jeremy seems to be the only one asking Reed if how he’s doing. “As well as expected”. Since his partner is gone, Reed has to figure out how to climb his way out of the minority pit. Jon isn’t sure how to move forward from this point either; he’s not sure how to talk to people now that he and Jaclyn have shown who they are loyal to, does everyone hate him? Missy tells him not to worry about it, that’s the game. Jon lets us know that it was the rest of the boys in the Josh/Reed alliance that convinced him to sidle over to Jeremy’s side – you gotta trust your instincts when playing Survivor and his instinct told him not to vote opposite his girl. Keith is not happy with the outcome; he tries to throw some blame onto Missy and there’s talk about the “couples”. Keith talks privately about using his idol to get one of “them” out; maybe he’ll tell everyone to vote him out, use the idol and make that happen. That’s sounding like a good idea to Keith… Unless they split the votes between you and Wes it’s a good idea! Duh! Back at camp, Natalie further explains her motives in giving up her Reward to Jon; she wants Jon and Jaclyn to trust her and Jeremy and be on their side; it’s leverage for her down the road. Oh, Natalie… This is Survivor. I can’t think of a single time when someone has given up a reward or advantage to someone else and had it work out for them in the end; no one has won a million dollars for being generous, no matter how strategic the move was. Keith and Wes are very vocal about the move Natalie and Jeremy made; their group is definitely final six. Wes just doesn’t want to get #blindsided so if they are voting for Keith or Wes, just let them know. Natalie says her next target is Reed, though. Keith knows that Wes made the comment strategically, to feel things out so that they can better use his idol. On Exile Island, Jeremy gets a clue to the hidden Immunity idol that isn’t there and look at that… It’s the yacht he could have been on enjoying sandwiches and beer… On the yacht, the group enjoys their Reward and there are dolphins and Jon is so happy that he got to share that experience with Jaclyn. They are very grateful to Natalie and Jeremy, but they get that it was a strategic move. Reed also gets that it was a strategic move, like, duh, it was so transparent. In the end, it doesn’t really mean anything, though. Sure, now Team Double J are concrete with that alliance, but he’s got nothing to lose now so it’s time to stir up the pot and sprinkle some chaos into camp. It might backfire, but it’s a risk he’s willing to take. Come on in, guys! It’s time for Immunity and it looks complicated before Jeff even explains it. Jeremy returns from Exile to applause from the rest of the group and it is made known how rough it was and how exhausted he is from being there for two days. After taking back the Immunity necklace, Jeff explains the challenge. Using only their feet, for the first time EVER on Survivor, they must unspool some rope to drop a bundle of wooden blocks then, using only their feet, they must place and stack the blogs in a pyramid then insert a flag into the block on the bottom in the middle of the stacks. Keith and Reed take an early lead, but everyone except Alec is moving along at a good pace. Jeff is right on it explaining that if pieces fall, they can pick them up with their hands, but must put them back in the basket. As the blocks get stacked, Baylor has taken Keith’s position against Reed for being the closest to finishing. Reed knocks some blocks off his stack over just as Baylor places her last block, she goes for the flag aaand Baylor! Wins! Immunity! Jeremy knows he would have done better if he had been working at 100%, but Exile really drain him… He’s happy someone in his alliance won Immunity, though. After the challenge, Reed is bummed he didn’t win a challenge that was just custom made for him to win. He doesn’t think his chances of hanging around a little longer are very good, he could be voted out at Tribal later, but he will light the camp on fire on his way out! LOL!!! This is exactly what a friend of mine said HE would do if he knew he was being voted out of the game – run back real quick, light the camp on fire then skip all the way to Tribal whistling a happy, little tune. Reed isn’t going to resort to jungle fires just yet, though, instead he becomes THAT person who goes through people’s stuff and dives into Keith’s bag of tricks and finds the instructions and rules about the hidden Immunity idol. Well you know THAT is going into his pocket. What a #rookiemistake! Leaving stuff in your bag for people to find… Keith… Come on, man… Why you didn’t burn that immediately is beyond me. So… Reed is off walking with Missy and Jaclyn and explains that he THOUGHT he was looking in Julie’s bag for something, but it was Keith’s bag and he found something interesting… He shows them the Immunity idol rules that Keith had in his bag. Missy knows Reed is scrambling, but Keith has an idol and that’s something to think about. Reed knows the girls have the numbers, (because now Baylor is present for this conversation), and they have one more because he’s voting with them now. Baylor is just dumbfounded that Keith has an idol and who knows how long he’s had it! The fact that he has one is shocking enough, but to keep it a secret for this long? One thing is for sure, it’s about to get crazy on that island! Cue Keith on the beach with Wesley approaching; Keith knows someone went through his bag and now everyone knows he has an idol. He guesses some people have different values and that idol might come into play sooner than the thinks. So Jon runs right over to Missy and lets her know that A) he and Jaclyn really trust her and B) he found the idol at Exile and he would like Jeremy go to this time or next time because he’s afraid that… Missy chimes in, knowing exactly what Jon is afraid of: He doesn’t want Jeremy around to tell everyone that Jon has the idol, but… She’s not sure if she’s ready to turn on her alliance with Jeremy, they’ve been cool with each other for a long time. Missy thinks that a better idea would be to focus on Keith or Reed; they need to flush that idol. You don’t want to rock the boat too hard or someone’s gonna fall out! Couldn’t agree with you more, Missy! UGH! It makes very little sense to me to let a couple with an idol stay in the game, especially when you’re not even in an alliance with one of them! Duh! Voting Jeremy out isn’t a terrible move on her part at this time, but Jeremy doesn’t have an idol. Keith and Jon do and if you ask me, it’s a much smarter move to flush those things early or you could end up stuck in a corner later. Talk comes around to Immunity idols… Jon is certain that there that someone has one. Natalie vocalizes that yeah, it’s pretty scary to think that someone in the opposite alliance has an idol, but it’s also scary if someone in your alliance has an idol and isn’t telling you about it. Jaclyn pipes in to throw something out there… Alec and Reed have been very open to have conversations with the other people on the tribe, but Keith and Wes… Not so much… So… Jaclyn is pretty sure that Keith or Wes have an idol since they weren’t scrambling like Alec and Reed. And Wes is QUICK to jump on the defensive – They didn’t come talk to him and his dad either, but… Jon points out… THEY weren’t trying to get them on their side, Keith and Wes were, but they didn’t think it was important to come talk to Jon and Jaclyn and when he got back from Exile he hears that they were being disrespectful to Jaclyn so… Why would they join up with them? And it’s back and forth until Baylor speaks up about them not talking to the girls more. OH, but Keith talks to her mom plenty! So Reed is totally loving all of this back and forth. Things change from second to second and if everyone else is arguing that’s great for him. Let them argue! He’ll be over there, by the coconut tree, away from all the mess. Jeremy is asked about timing and how important it is, which leads to him bringing up that he’s married and if you watch out for his wife, he’s on your side. Then Jeff asks Natalie what she needs to happen tonight: She wants her alliance to stick to their words and do what they all discussed and not let anything happen to distract them from their long term goals, ESPECIALLY when people get desperate and will say anything to save themselves… AND it’s time to vote… AND I should have known from the commercials I saw about this being the biggest blindside ever because… #blindside… Jeremy has joined the jury. Next time on Survivor… Natalie is on the war path; she’s gonna give Jon a taste of his own medicine! She’s gonna go look for an idol, Jon’s a target, Reed lets us know that “he’s going home” and Alec says that NOW “they” are going to change the game. Should be a good episode next week! 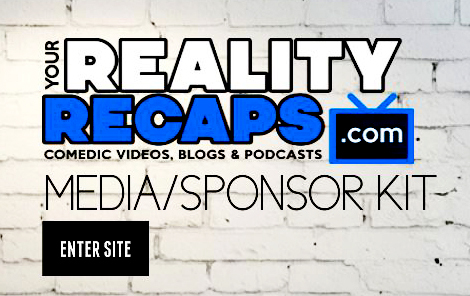 In the meantime… Check out our coverage of all your favorite reality shows. We’ve got Amazing Race, we’ve got Bravo shows, we’ve got so much! And please, if you’re going to be doing any holiday shopping via Amazon… CLICK HERE because when you do, you help support us and we totally love that. Thanks! Previous ArticleReal Housewives of Beverly Hills Season 5: Premier Episode Recap!